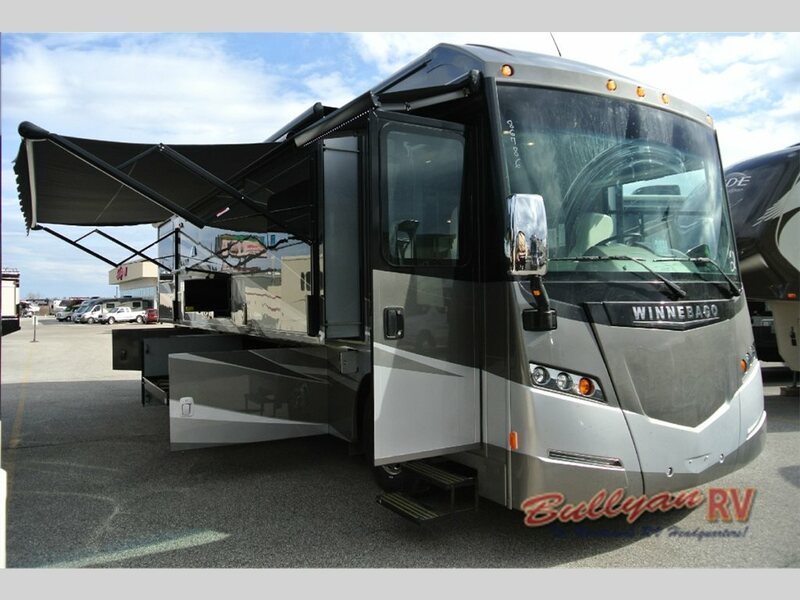 In the camping world, the name Winnebago is synonymous with quality and comfort, and the Winnebago Journey 36m Motorhome is a perfect example of everything an RV should be. With features for both the inside and the outside, it will not be hard to see why we only have one of these campers left on our lot. Hurry down to check out our last 36m Winnebago Journey! From electric fireplaces to large HDTVs, the interior of the Journey 36m has everything you need. Multiple HDTVs: Entertainment is a big part of people’s recreational life, and in the Journey 36m Motorhome, you will have HDTVs in several location to make watching your favorites shows a synch while on the road. Electric Fireplace: Not only does the addition of an electric fireplace make the interior of this camper higher end, but it will also help keep your warm during the cold evenings when you are camping in a cooler climate. Washer and Dryer Hook Ups: Having your own washer and dryer will make life on the road a lot easier. There will be no need to stop at a Laundromat during your trip because you can wash all of your linens from the comfort of your RV. Residential Quality Kitchen: From the French door refrigerator to the Corian Countertops, the kitchen in the Winnebago Journey will feel like you are cooking in your kitchen at home and not in an RV. Customizable Master Bedroom: This model of motorhome comes with a large and spacious master bedroom that you can customize to your likings. Choose from either a Queen or King Size bed to suit whatever your needs are. The modern decor will have to living in luxury. 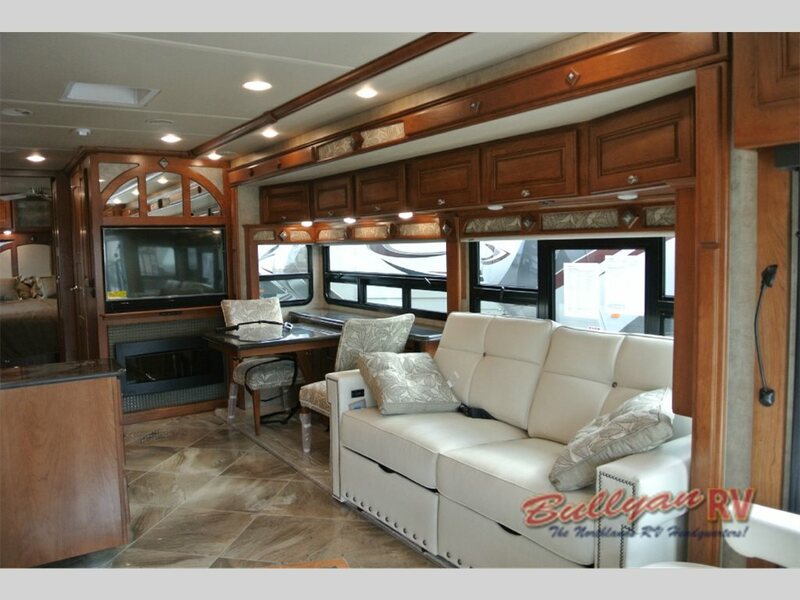 With all of the amenities the Winnebago Journey 36m Motorhome offers, it is easy to see why this is such a popular RV. If you want to live in the height of comfort, then this is the camper for you. But don’t delay any longer! 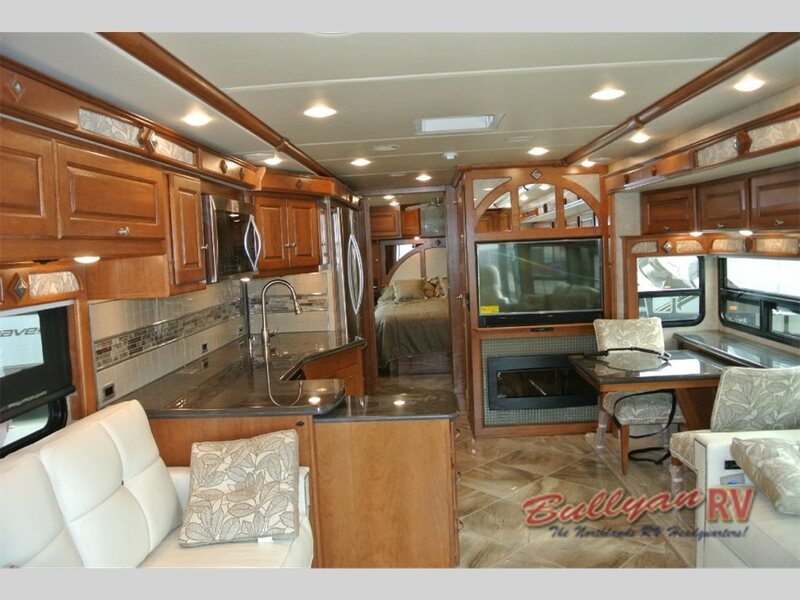 We only have one Winnebago Journey 36m left, and with all of these features, it will not last on our lot much longer. Contact us or stop by our location to find out more about this fantastic RV and see what you can do to find yourself driving away in it!